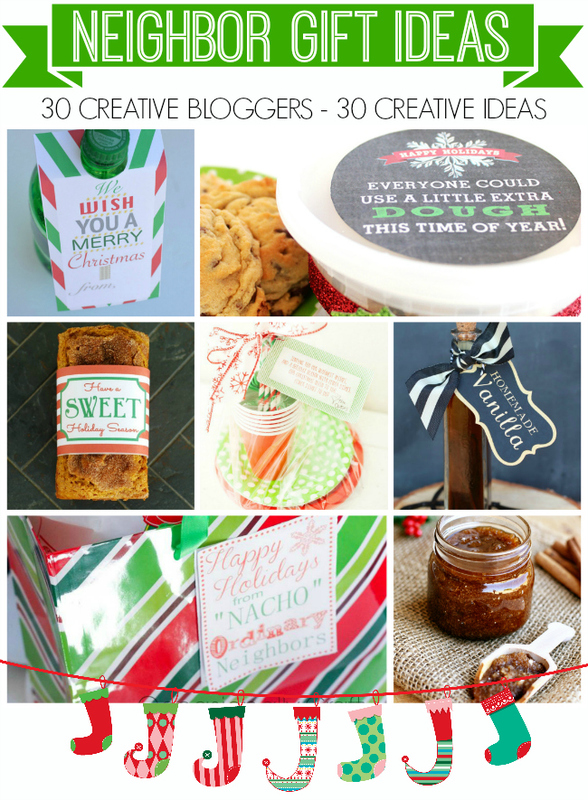 I'm thrilled to be teaming up today with 29 incredibly talented and creative bloggers to share some fun neighbor gift ideas. Make sure to check out all the ideas below and visit everyone's blogs for more details. I am all about keeping things simple for the holidays. 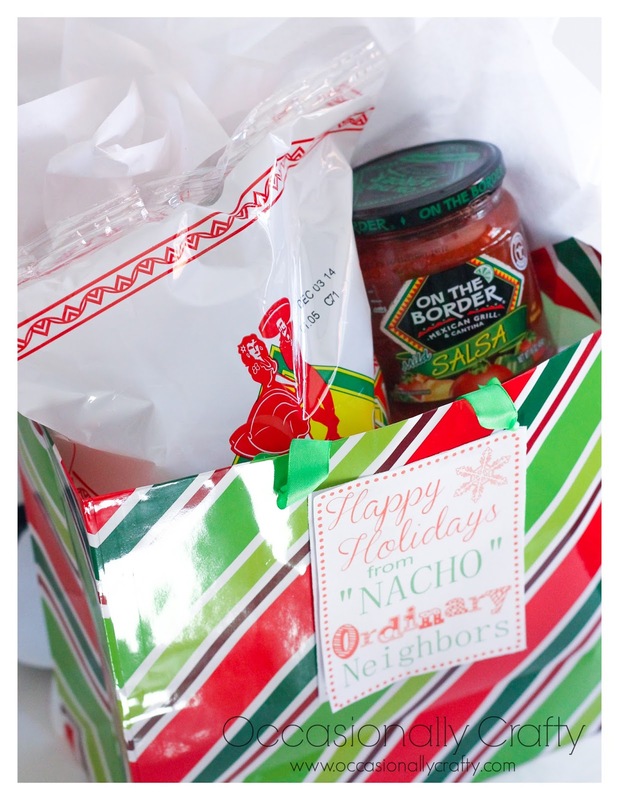 My gift idea is easy to put together, and fulfills a basic need- SNACKS! With all the running around we do during the holidays, everyone could use a little fuel. Simply pick up a bag of chips and your favorite salsa or queso at the store (or if you're really ambitious, you can make your own. 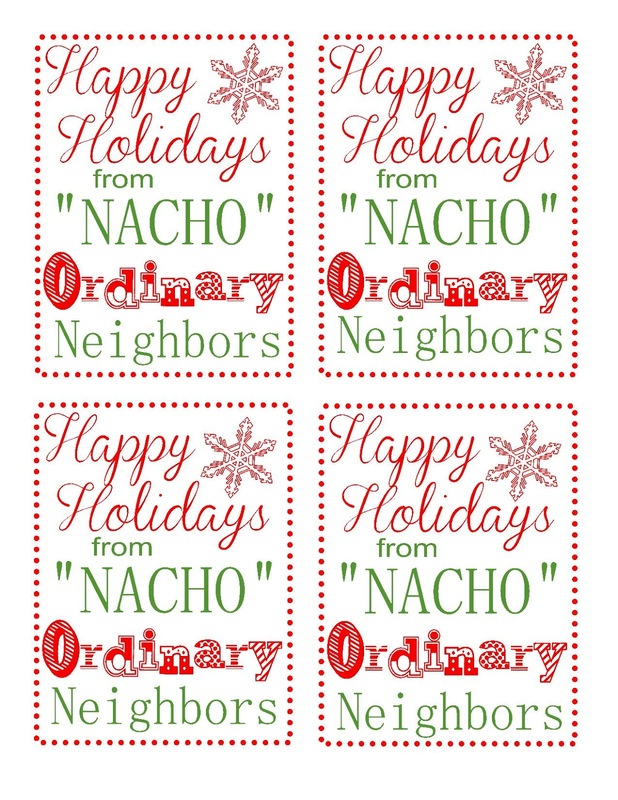 My favorite recipe is here:) Print out one of my gift tags and attach it to the chips or the gift bag. You can use it as a label or punch a hole and tie it on to the gift bag with a ribbon. Deliver it in a cute gift bag to your neighbors, or if you want to make it a little more special, you can pick up a cheap plastic chip bowl at the store and personalize it with some vinyl. 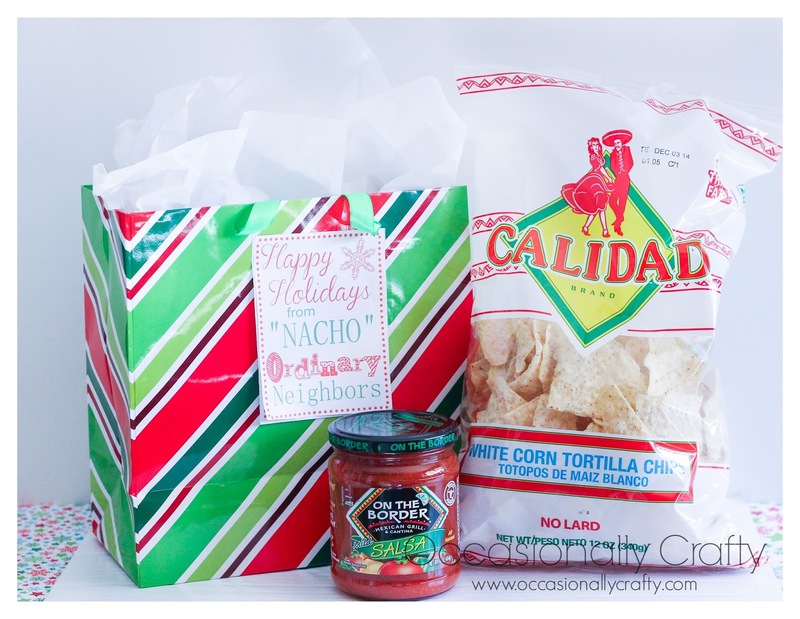 With all the sweets I get, I know I'd love to have something a little more savory to snack on while I'm wrapping gifts, shopping online, or even to set out when people are over. 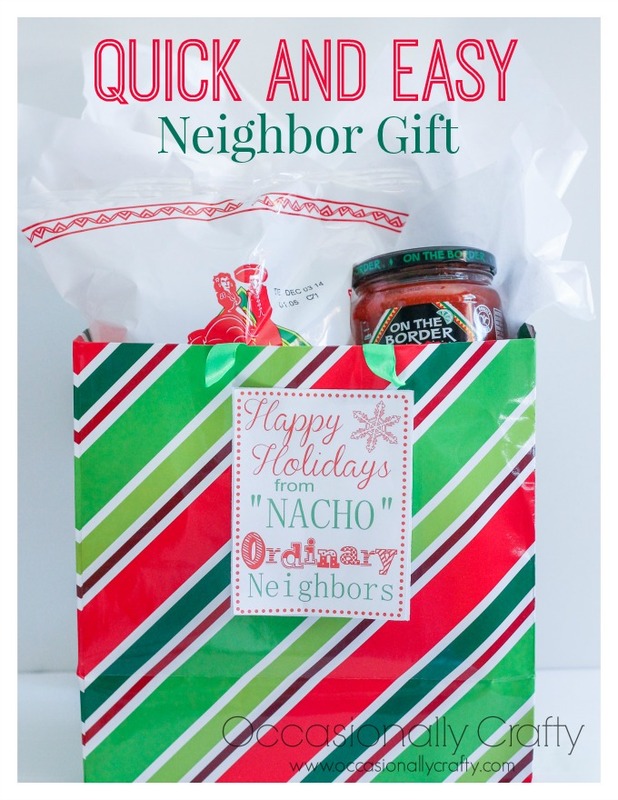 For a "Neighbor Gift", download here. For a "Teacher Gift", download here. For a "Friend Gift", download here. Now hop around for a bunch more great gift ideas! Handmade Christmas Ornaments + Blog Hop!